Manage recruitment, hiring, training, conflict resolution, terminations, and employment practices. Develop and revise policies and procedures and job descriptions as necessary. Maintain compliance with all state, federal, and licensing requirements concerning employment practices and recordkeeping. Advise management staff on Human Resources related questions. Bachelor’s Degree in Human Resources Management or a related field. Minimum of five years of experience in an HR related supervisory position. For more information, please contact Katie Walker at [email protected] or (913)651-6810. The ED/CEO should be a strategic thinker, planner and an experienced change manager. Qualified candidates should submit a cover letter and a one to two page resume by 5 p.m. May 3, 2019 to Richard I. Goldbaum, Ph.D., Transitions In Leadership at [email protected] Telephone calls or snail-mail will not be accepted. 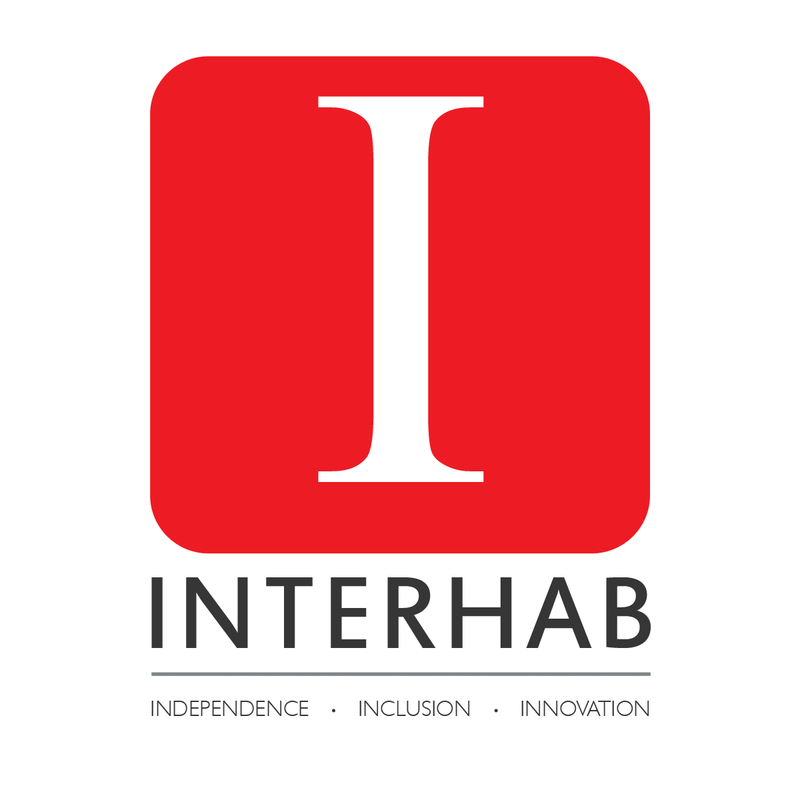 DEVELOPMENT AND MARKETING SPECIALIST: Responsible for providing direction, development, planning, oversight, and implementation of marketing, fundraising, employee and public relations activities. Individual should be organized and possess strong verbal and written communication skills as well as proficiency with computer programs to create printed and audio/visual media to include social media. Preferred qualification is experience with fundraising and grant writing. Minimum requirements include Bachelor’s degree in mass communications, journalism, marketing, English, or closely related field. Two years related experience preferred. Full-time, 37.5 hours per week. Competitive wages and excellent fringe benefit package includes medical/dental and life insurance, paid vacation and sick leave, and retirement program. Pratt, Kansas -Residential Coordinator: Supervise residential staff who assist persons with disabilities to live and participate in the community. The duties of this position include hiring, training, evaluating and scheduling at assigned locations. Associates degree or two years of relevant experience preferably in residential program is required. The work schedule for this position is Sunday through Thursday. $29,120 – $43,108. Dodge City, Kansas - Case Manager: Responsible for the management of client programs and services, including the management of a caseload as assigned. Bachelor’s degree and 6 months experience in disability supports or the requirements for the State of Kansas to include a minimum of 6 months experience in the field of human services and either a Bachelor’s degree or additional experience in ID/.DD field which may be substituted for the degree at the rate of 6 months of full time experience for each missing semester of college. $29,120-$41,132 ($1120 - $1582 biweekly). Pratt, Kansas - Trainer: Primary responsibility is the coordination and implementation of staff orientation for assigned division. Primary function is to provide on-site training to new staff members. Requires a high school diploma or GED with a minimum of two (2) years’ experience in a direct care position. $11.80 - $17.05 per hour. Dodge City, Kansas – Early Childhood Interventionist: Supports infants/toddlers and their families in home and community based settings. Responsible for completing screenings, evaluations, service planning, family coaching, and team collaboration in order to work toward identified outcomes for each child. Serves as a Family Service Coordinator (FSC) for assigned families collaborating with other community resources. Applicants must have a Bachelor’s degree in Early Childhood Special Education, be a Registered Nurse as verified by the State of Kansas OR a licensed Speech & Language Pathologist. Requires knowledge of early childhood development and early childhood disorders. Salary determined by Special Education Cooperative. To apply, please to www.arrowheadwest.org. 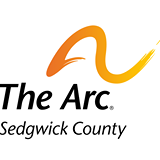 The Arc of Sedgwick County is looking for a Program Director to take over the leadership of some of the most exciting and well established programs serving individuals with intellectual and/or developmental disabilities in the state of Kansas. This is a full time, exempt salary position within the management team of The Arc. 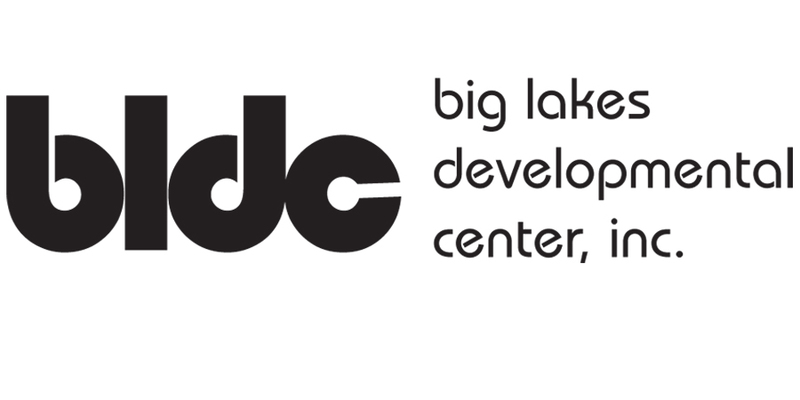 This position will focus on the development and implementation of all adult programming, bit will be responsible for The Arc’s entire Special Projects department and all programs and events connected to this department including, but not limited to the Youth Education and Summer Socialization (YESS) program, Mini Tours travel program, Mentoring programs, Self Advocacy programs, Youth & Adult Days among others serving all ages. Ensuring dependable, safe and appropriate programming for those The Arc serves. To perform this job successfully, an individual MUST have experience serving people with developmental disabilities. Candidates should have a degree, BA/BS in Human Services or related field. Experience in program development and minimum of five years leadership experience expected. To perform this job successfully, an individual must have experience-serving people with developmental disabilities. Five years of successful work experience in a related field may qualify as a substitution for education. PHILOSOPHY OF SERVICES ACKNOWLEDGEMENT: This job carries with it the obligation to fulfill Mosaic’s mission of providing a life of possibilities for people with intellectual disabilities. As One Mosaic, all staff members work together to provide the people Mosaic supports with a meaningful life in a caring community, ensuring they have a voice to share their needs and desires and to advocate for their rights. This job also carries the responsibility to be a good steward of our human and financial resources to create an environment committed to Mosaic’s values of safety, respect, connection and integrity. Staff members are also responsible for demonstrating Mosaic’s 7 Essential Practices of Leadership as it applies to their position. A commitment to this philosophy of services should be demonstrated as job duties are performed. JOB SUMMARY: Supervises the work of independent contract manager to coordinate the operations of host home services. Monitors contracts and regulatory compliance for services provided by independent contractors, including the areas of medical services, programmatic, day services and the health and safety of persons served. ESSENTIAL JOB FUNCTIONS: 1. Track and verify regulatory compliance of all contracts in his/her caseload to ensure compliance of all regulations and accreditation standards. 2. Ensure follow up of all medical, therapeutic and external provider interventions. 3. Review program plans, assessments and ISP’s to ensure compliance with regulations and accreditation requirements. 4. Assists with the development of the agency budget, monitors program specific revenue and expenses, and ensures efficient use of agency resources. 5. Attend program plan meetings when necessary to advocate for persons served and mediate complex issues with the interdisciplinary team. 6. Review individual progress of persons served on a monthly basis. 7. Review billing documents to ensure accuracy and verify services provided. 8. Assist in the audit of personal needs funds to ensure proper use of funds and timely reporting. 9. Participate in activities that lead to agency growth and improvement of services by assisting in responses to RFP’s and other opportunities presented in a fiscally responsible manner. 10. Develop community relationships that enhance the agency and persons served by providing integrated choices for individuals to participate in the activities of community life. KNOWLEDGE, SKILLS & ABILITIES: 1. Knowledge of Company policies and procedures. 2. Knowledge of and ability to demonstrate Mosaic’s 7 Essential Practices of Leadership. 3. Knowledge of behavior management and program development. 4. Knowledge of independent contractor regulations. 5. Skill in planning and organizing. 6. Skill in maintaining files and accurate records. 7. Skill in prioritizing multiple tasks. 8. Skill in using a personal computer and various software and database applications. 9. Skill in operating standard office equipment, including typewriters, telephones, copiers and FAX machines. 10. Skill in budget management. 11. Ability to use a telephone and personal computer. 12. Ability to communicate in a courteous and professional manner. 13. Ability to make independent decisions. 14. Ability to maintain confidentiality. 15. Ability to work in a team environment. EDUCATION & EXPERIENCE: Bachelor’s Degree in Psychology, Special Education or a related field. Minimum of four years of related work experience, with one year of supervisory or management experience. Previous experience working with people with developmental disabilities preferred. May require CPR and First Aid certification. For a confidential discussion about this position or other career opportunities, please contact Jason Metz, Talent Sourcing Coordinator, at [email protected] or 402-896-3884, x30020. Mosaic is the largest national faith-based provider of services to people with intellectual and developmental disabilities. Our more than 4,000 employees and independent contractors provide a life of possibilities to nearly 3,700 people across 10 states. Building upon more than a century of service, Mosaic navigates continuous transformation in service delivery while maintaining a focus on those things that matter most: people served and their families; the people who serve; and our mission of service and advocacy. Mosaic is seeking an energetic, team focused person to creatively source and recruit applicants, hire and onboard new employees, and provide human resources and employee relations support for current employees. Coordinate personnel records, manage benefit enrollment, and assist agency leaders with employee performance review will be key responsibilities for this person. Provide human resources support in compliance with regulatory requirements, Mosaic’s standard processes and best practices. Perform recruitment, hiring and on boarding functions to include effective sourcing of applicants, timely processing of applications, sound selection procedures and adherence to Mosaic’s best practices for hiring and onboarding. Coordinate completion of human resources related functions, including performance reviews, workers compensation claims, unemployment claims, timekeeping, maintaining personnel records, and monitoring and/or reporting of human resources related data/information. Ensure benefits, FMLA and Leave of Absence processes are adhered to. Bachelor’s Degree in Human Resources Management or related field. Minimum of two years of experience in human resources or related field. Operating with the philosophy of One Mosaic, local agencies and the national supports office complement one another in successfully carrying out our mission. Agencies have the responsibility to serve people, engage staff and involve local communities. The national supports office provides technical and operational resources, using centralized and standardized processes where possible to increase efficiencies and ease the local workload. Why Mosaic? We put people first. Both the people we serve and the people who serve. We believe the work we do is life-giving and life-changing, and we invite passionate, experienced leaders to learn more about our opportunities. TARC, Inc. is currently seeking and individual to coordinate staff development and training for all TARC staff and affiliate staff as requested. Must be qualified to teach CPR, First Aid, Health and Safety, Fire Safety, MANDT, Abuse Neglect & Exploitation, KDOT Driver Trainings, and. Monitor and update staff training requirements on a regular basis to comply with all licensing and federal and state regulations. Develop and maintain training materials and maintain the training database. Coordinate the TARC Safety Committee to ensure safety protocols are being met by all divisions. Bachelor’s Degree in Education, Human Services or related field. Teacher certification preferred. Five years’ experience in planning, conducting and coordinating training activities or classroom teaching. Must have exceptional people skills and the ability to adapt training material to meet different learning styles. This position is full-time, Monday-Friday, no evenings or weekends with eight (8) paid holidays. Health Care, Dental, Vision, Life Insurance and PTO is offered and much more. TARC, Inc. is a participant in KPERS. TARC, Inc. conducts background screenings and post-offer pre-employment drug testing. Must have and maintain a valid Kansas Driver’s License with a satisfactory motor vehicle record. May submit application online at www.tarcinc.org or make application/send resume to: Human Resources, TARC, Inc. 2701 SW Randolph Ave, Topeka, KS 66611 or e-mail to [email protected] E.O.E. APPLY ONLINE, IN PERSON OR SEND LETTER/RESUME TO [email protected].